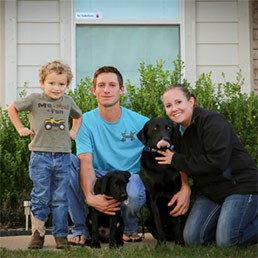 Zack and Liz Kelly are Professional Dog Trainers that train for real results in the real world not just class. Our obedience programs set the foundation for success where you need it most; we train for visitors, strangers, the doorbell, other dogs, kids, house manners, leash and off-leash manners, and proper socializing. At Texas K-9 Academy, we use balanced training methods to get thorough and consistent results. We build trust and confidence between you and your dogs. We specialize in puppy training, obedience training, and behavior modification. We offer in-home dog training for local clients, as well as board and train programs for local and non-local clients. We teach with leadership and authority. For 12 years we have helped owners achieve consistent results so they can trust their dog, and there is no greater feeling! New dog obedience wise with all the love and affection as before. He is a happier dog simply because he understands us and what we want more now than every before. This wouldn’t have been possible without Liz and her training. I highly recommend her and her program to anyone. She takes an invested interest in your dog and was in constant communication with us through the entire process. Bruschi was clearly loved and well taken care of through training and we are thoroughly pleased with the results of the training. I have been so impressed with Liz and her patience with my stubborn but sweet “Naughty Boy.” He has certainly come a long way. I would highly recommend Liz to anyone needing dog training. Liz has been our dog trainer since Diesel was weaned. We can’t say enough about her training him in both obedience and retrieving. The biggest plus is he is in a home environment being exposed and socialized with other dogs and interacting with children. We would recommend her to anyone seeking dog obedience training. Great job Liz. Does your dog bolt out the door and run away, or maybe your dog takes you for a walk or even a run? Lunge at other people or dogs, clobber your visitors, knock down kids, chew the furniture, steal food, or take your sock and make you chase him for it? Does your dog have behavior problems like resource guarding, dog aggression, or food aggression? Are you looking for your dog to respect boundaries and not bolt at any open door or gate? Come every time you call them, won't bark at every little door knock, and will be calm and complacent when you have guests? I can help! I provide dog training that covers: here, sit, down, off-command, leash-walking, off-leash walking, potty training, boundaries, and crate training. I also provide training for a variety of behavioral modification: chewing and destruction, fear anxiety, separation anxiety, dog aggression, food aggression, resource guarding, and running away etc. My name is Liz Kelly. I reside in North Texas with my husband, son and our two labs. I have been working with dogs since 2007. I started Texas K-9 Academy when the owners of Tioga Retrievers (where I was training obedience dogs at the time) retired. Tioga Retrievers obedience program was one of the only few like it in the area. I have always had a strong passion for dogs, and I have worked with them in many areas. My goal at Texas K-9 Academy! 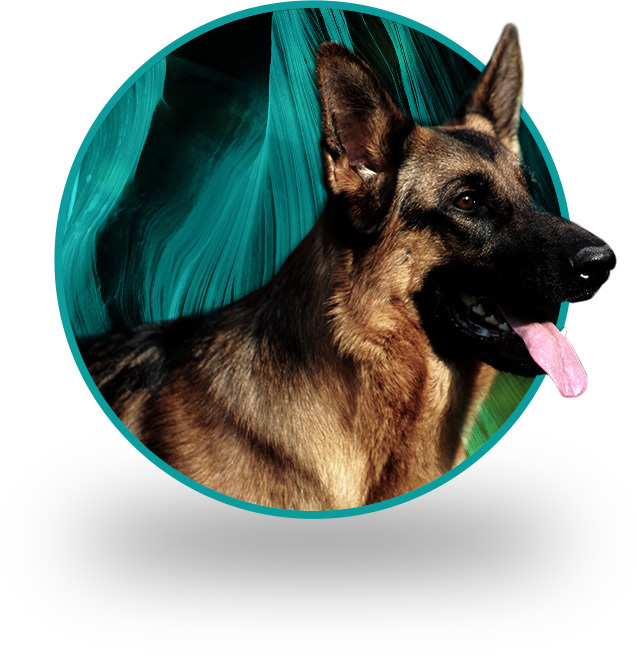 is to help people build a lasting, and trusting relationship with their dog. There’s not a person alive on this planet that can resist the cuteness of a puppy...and that’s the problem. Sure, everybody loves the bright brown eyes, the curious nature, and the wagging tail as the pup explores new situations and has new adventures. But everybody who’s had a puppy will also tell you that, without proper training, they can become an engine of destruction. Dogs are pack animals, happily thriving when led by a leader in a structured environment. But dogs, like people, are individuals, learning better in an environment that’s quieter, less chaotic, and more focused. Offering private training lessons for local dog owners, we ensure your dog and you are both given the attention you deserve. If solo training sessions are the ideal way for you and your dog to learn together, we can make it happen. We have to change your dog’s mindset, and probably yours as well. We have to stand back and think from the dogs perspective. A well-behaved, obedient dog is truly a pleasure to have. He can go virtually anywhere without being a danger, or nuisance to others. We all want a dog who behaves appropriately in a crowd, has good manners when we have guests in our home, can be trusted around children, and who doesn’t show aggression towards other dogs or passerby’s. When our dogs behave they enrich our lives even more. Dog training truly benefits everyone.